How can you tell if the eggs you are incubating are fertile or not? 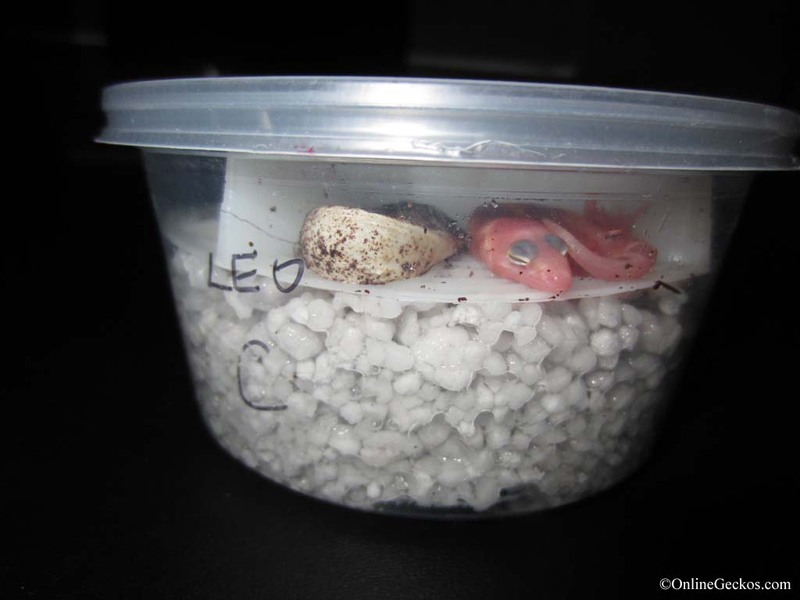 There’s a method called “leopard gecko egg candling”. It’s simply to shine a light on the egg to see if the egg gives off a pink/red color or not. A fertile egg will usually give off a pink, reddish look on the inside. It’s an indication that there’s something growing inside. 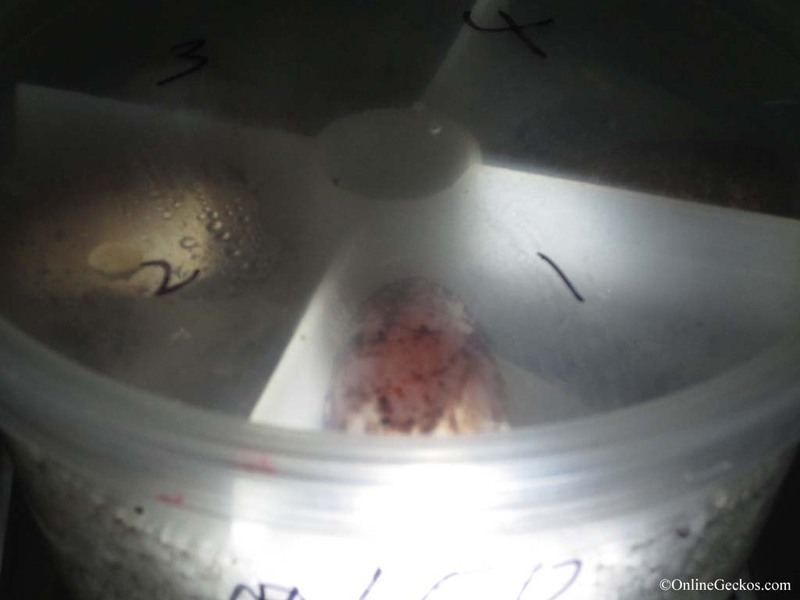 Here’s an example from one of our eggs, this egg has been incubating for 30 days now. This past week, we’ve had a beautiful super giant raptor hatch. She’s a temperature sexed female, hatched out of a very large egg. The eggs were laid by a first time raptor breeder. The male we are using for this project is a 160g super giant mack snow raptor, he’s a monster! We are very excited about this project. This is just a sneak peek, look for us to make more updates in the future. 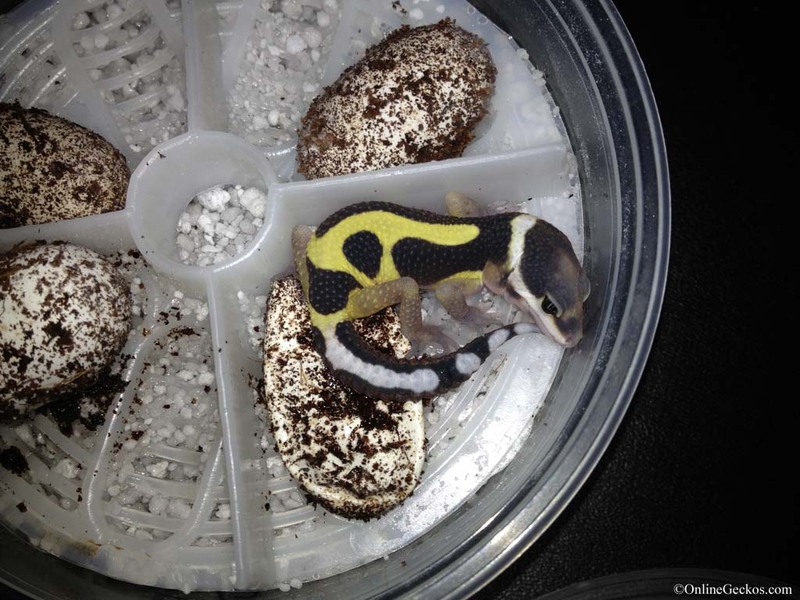 For a leopard gecko breeder, there are a few things that affect your season’s success. One of which is finding good breeder geckos, something we covered in a previous Gecko Breeder Chronicle article. The other however, is having good incubators. As a breeder, your eggs are everything. Without the eggs hatching, you have no season, and you can’t advance your projects. I chose this topic for our first Gecko Breeder Chronicle article because this is something we are currently evaluating. After having bred leopard geckos for 2 years now (going on 3rd), we are faced with the difficulties of having to decide which geckos to let go. This is something that we did not think of initially, nor was it something talked about on forums or mentioned on any gecko breeder sites. After checking with several breeders and having some 1 on 1 conversation with them, it appears this is not unusual. We are having great success with our bandit projects. We’ve already hatched out 6 beautiful bandit hatchlings, with more eggs still in the incubator. On top of that our bandit breeders are still ovulating. This marks our second successful season with our bandit projects. Bandits are a linebred morph, it was linebred for several generations to achieve the trademark bandit nose band, as well as the bold patterns and stripes. Bandits are great looking leopard geckos that show off the light/dark contrast very well. It is one of our favorite morphs. What are reptile thermostats and do I need it for my terrarium? Reptile thermostats are devices that will monitor the temperature of your terrarium’s warm spot. There is a temperature probe attached to the thermostat. You would lower the probe down to the terrarium floor right above where your under tank heating pad is, and secure the probe with either tape or a weighted decor. Then you would set the ideal temperature for your reptile. Once done, plug your under tank heating pad directly into the thermostat.